I’ve been struggling since Mojave came out to deal with it’s over-bearing expansion of SIP (“System Integrity Protection”), which is basically a super-root notion that blocks access – even to root – to lots of basic parts of the system, including obvious & mostly sensible ones like /System and /Library, but also less usefully things like any & all Time Machine backups. Blocking access to Time Machine makes it very difficult to actually use Time Machine, since it’s then difficult to retrieve files from a backup (you have to then use the stupid ‘warp’ Time Machine interface, which is slow, ugly, and buggy). Luckily, it turns out there is a fairly simple solution that isn’t disabling SIP entirely (which requires multiple reboots in order to do, so is typically quite disruptive & slow). It appears that any application granted Full Disk Access (System Preferences → Security & Privacy → Full Disk Access) can read Time Machine backups. Being unable to navigate into Time Machine backups in the Open / Save / etc dialogs. Being unable to see – through ls or similar tools – the contents of Time Machine backups via Terminal. Apps reporting errors like “The file “Foo” couldn’t be opened because you don’t have permission to view it” or bluntly “Operation not permitted” when trying to read something in a Time Machine backup. There’s a strange & ironically very bad security quirk though – curiously, any tools run via Terminal inherit Terminal’s access (or lack thereof) to Full Disk Access. They don’t use whatever setting might be specified for them in the Security & Privacy preferences. This is pretty baffling, as it means to give Full Disk Access to anything you run via Terminal, you have to give it to everything you run via Terminal. Anything you specifically give Full Disk Access won’t actually receive it if it happens to be launched via the Terminal (which confused me for a while, since it’s so unintuitive). I’m guessing whatever mechanism enforces all this so-called security is based in LaunchServices or somesuch – while the Finder and most things in general will launch apps via LaunchServices, as detached & independent process sessions, Terminal doesn’t – everything it runs, from the shells down, run under it in the process hierarchy, and seemingly share its security & privacy settings. Hmmm… curious. I tried revising my star rating from 2 to 5 to see if it were so blatantly influenced by that, but it did not make a difference. 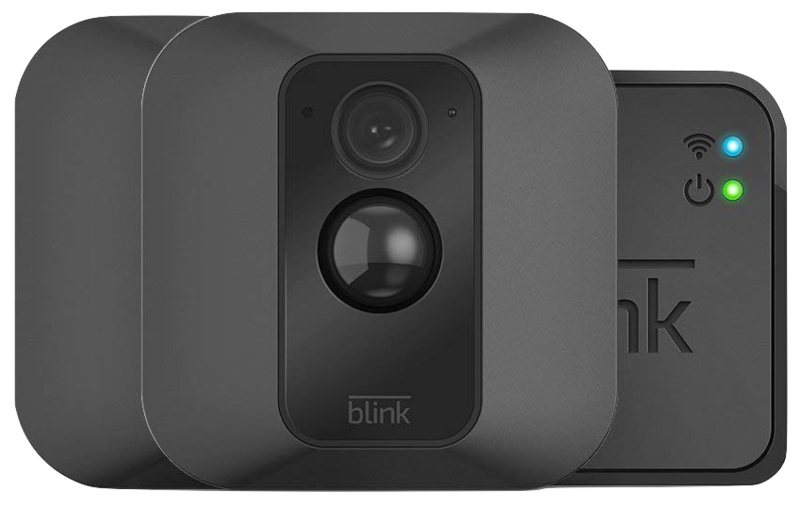 First up, the Blink XT cameras do not work with normal batteries – you have to buy quite expensive Lithium batteries. Use of any other types of AAs will result in the camera not triggering reliably, failing to record full videos (or at all), etc. So factor in about $20 extra per camera for a pair of such batteries. Also, the two year quoted battery life appears to be a joke – I had to replace the first set of batteries after only a month or so. Second, the video quality is not great. They’re ostensibly 1080p but it looks both upscaled (probably from 720p) and it appears the video is recorded on the sync dongle, not the camera itself, so it’s subject to any radio interference issues that might exist, which will result in noticeably degraded video quality – or recording corrupting or cutting out entirely. Overall the video quality, even in the best case, is like that of a very cheap smartphone (as of 2018), or say a 2010 iPhone. Third, the only way to remotely control the cameras, and view recorded videos, is via mobile apps. No desktop apps, no website, nothing. So it’s very tedious to view the recordings, manage them, etc. Fourth, the mobile app for iOS is not great. It’s very slow – Cloud-saved videos are never loaded in advance, only on demand, and can take up to a minute to start playing. It’s also a bit buggy. e.g. a lot of the time it’ll fail to do whatever you asked, responding instead with a long delay ended with an error message along the lines of “the camera is busy”. Fifth, wireless range is limited – I have one camera only about ten metres from both my wireless router & the sync module, through one exterior wall, and the video quality is noticeably degraded sometimes. I tried placing one camera with line of sight about 30 metres away, and it worked (barely) for an hour or two and then never again, until I moved it much closer. Sixth, motion triggering is inconsistent and lacks important configuration options (like zoning to denote areas to ignore or conversely to focus on). e.g. for one video looking out the front of my place, it unavoidably has the street in view, which means that even on minimal sensitivity, we get a video & notification every single time a car goes by on the street. Yet it still won’t reliably trigger when a human walks up to the front door, until they’re right in front of the camera. Yet it’s nonetheless sometimes triggered by squirrels up to 10 metres away. So, solidly not recommended. Not the worst thing ever – the system does function in a very minimal sense, and I’ve managed to get some utility out of it, but it’s definitely disappointing – and many of these errors could surely be easily fixed by better software, firmware, or hardware design (e.g. support for normal batteries).